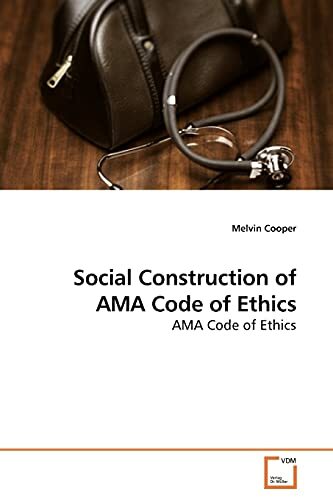 The Code of Ethics of the American Medical Association was the first code of ethics of a professional association. It has been reported to represent a revolutionary development in professional morality. On the contrary, Dr. Cooper demonstrates from consideration of the social context of the Code that it was the product of the social mileau of early 19th century America and, as such, represented an attempt by the American Medical Association to establish and legitimate the traditional masculine nature of modern medicine. Melvin Wayne Cooper is a practicing cardiologist in Jacksonville, Texas and teaches at the University of Texas at Tyler and the University of Texas at Dallas. He received his MD from the Univesity of Texas Medical Branch and a PhD from the University of Texas at Dallas.